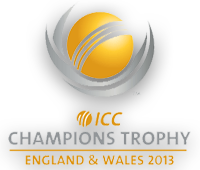 ICC Champions Trophy 2013 is starting from 6th June 2013 in England in which 8 best Cricket team of the world will take part. the event will continue from 6th June to 23rd June 2013. Pakistan Cricket team has already reached England for Champions trophy. Pakistani team will play two warm up matches before the start of Champions trophy with Sri Lanka and South africa. there are two Groups A and B and there are four teams in each group. Pakistan is in Group B along with West Indies, India and South Africa. Top two teams from each group will play Semi Finals.